NEDC at The Seagrove Centre in North East Edinburgh is a not for profit registered charity. At the Centre we provide fun and stimulating activities for our members and a wee break for their carers. We profive a day care service for those over 65 years old with a diagnosis of Dementia and support for those with Young (Early) Onset Dementia. We aim to help people stay as well as they can for as long as they can which may help avoid the need for them to move into a care home. support for local people who had dementia. Now we have a Board of Volunteers who oversee the charity and 16 staff and are helped by some 24 volunteers. Our ethos is to provide a nurturing service, which encourages our members to develop their full potential, by recognising individual needs and celebrating strengths. We provide fun and interesting things to do, which are guided by what people want to do at the Centre. We provide time, help, advice and ‘an ear’ to carers. 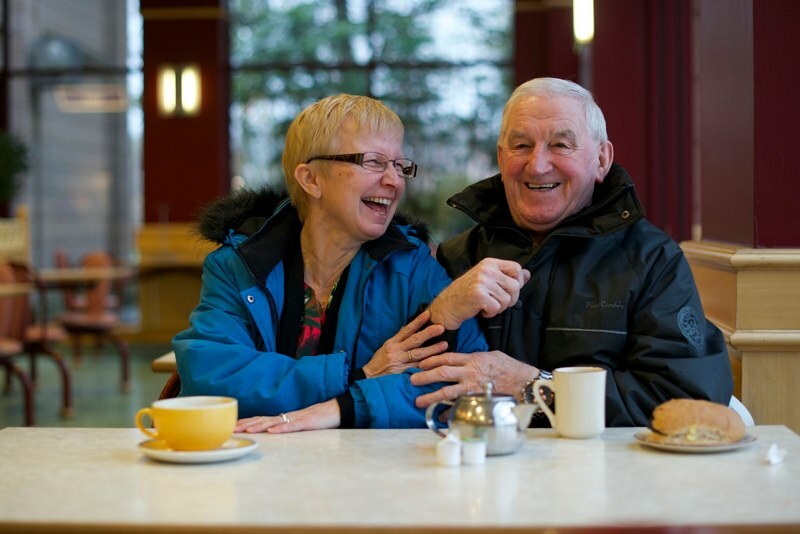 We provide an option of care which may assist people stay independent longer. We ensure a high quality of service and best value for cost, by our friendly and well trained staff. We are keen to involve as many people as possible in continually improving the service we provide to our Members. We also strive to be open and accountable as possible in order to demonstrate best value and sound financial management, in line with good practices advised by Office of the Scottish Charity Regulator (OSCR).